Even when you're not training, wear your passion on your tee. This men's t-shirt is built of cotton jersey that's washed for a soft hand feel and worn effect. 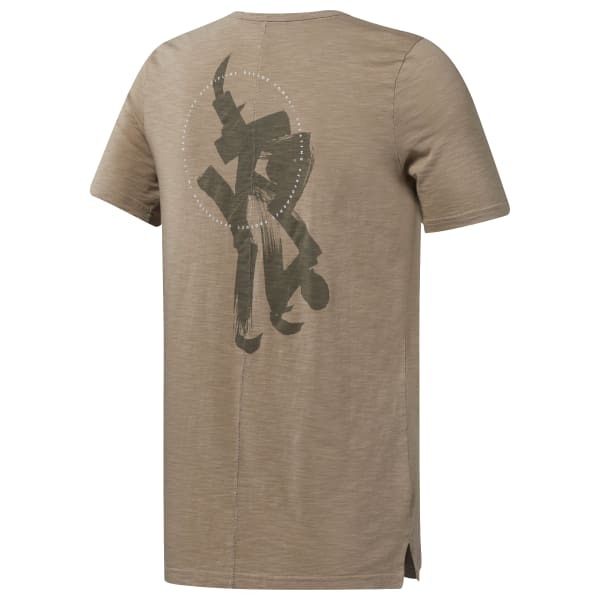 A large combat-inspired graphic on the back and a slim fit finish the look.